Mumbai, Aug 3: A python stuck in a narrow drain was rescued by a team from Sanjay Gandhi National Park (SGNP) in suburban Borivali this morning. But before it was rescued, sighting of the stuck reptile caused a brief traffic jam on the Western Express Highway during the rush hour, a police official said. 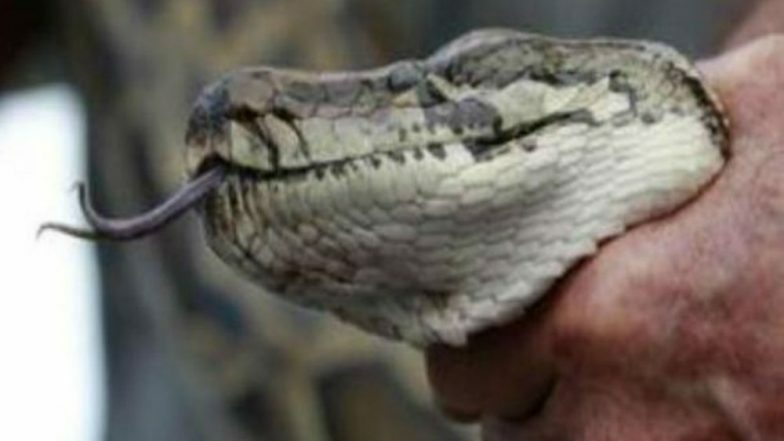 The 6-feet long python apparently slithered out of the national park and got stuck in a drain along the Shantivan bridge, he said. Alerted by onlookers, park officials rushed to the spot and rescued it by breaking a part of the narrow drain. It had not suffered any injuries and would be released back into the park, the official said.